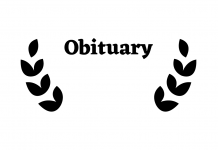 Manuela Gonzalez of Van Horn, passed away on Sunday, January 6, 2019 at her residence. She was 94 years old. She was born to Salvador Gonzalez and Soledad Gonzalez of Van Horn on September 11, 1924. Mrs. Gonzalez married Santos P. Gonzales of Van Horn at Our Lady of Fatima Catholic Church on November 15, 1941. She was an avid Catholic serving as a Cursillista and a Guadalupana. Holy Rosary was led by Dolores Sanchez on Tuesday, January 8, at Our Lady of Fatima Catholic Church, Funeral Mass was held the following day led by Father Apolinar Samboni with burial at the Van Horn Cemetery. Serving as Pallbearers were Joseph Hernandez, Reno Carrasco, Eric Gonzales, Jessie Rodriguez, Gavino Gonzales, Jose Anchondo, Adrian Gonzales, and Toby Gonzales. Those left to cherish her memories are daughters, Norma Williams and Robert of Brownwood, Texas, Rosario Gonzales and Jose Anchondo of Van Horn, son, Gavino Gonzales and Gloria of Carlsbad, New Mexico, 10 grandchildren, 22 great-grandchildren, 6 great-great-grandchildren, and 1 brother Salvador Gonzalez. Mrs. Gonzales is preceded in death by her Parents, Salvador and Soledad Gonzalez, her Husband of 56 years, Santos P. Gonzales, 3 Sons, Jose Fidel Gonzales, Santos Gonzales, Jr., Valdemar, Gonzales, one grandson Gabriel Hernandez, and one sister, Susie Aguirre. Services were entrusted to San Jose Funeral Home-Fabens of Fabens, Texas.